This is the number of tons China imported in 2013. It is equivalent to a year of world production. Why are they buying all of this gold while Westerners are calling this a barbaric relic of the past? As the price for a cup of coffee at IHOP moves steadily towards $3, and a chicken-fried steak at the local diner exceeds $10, I must conclude the Chinese have figured it out. Yet the stock market is reaching new highs. What gives? 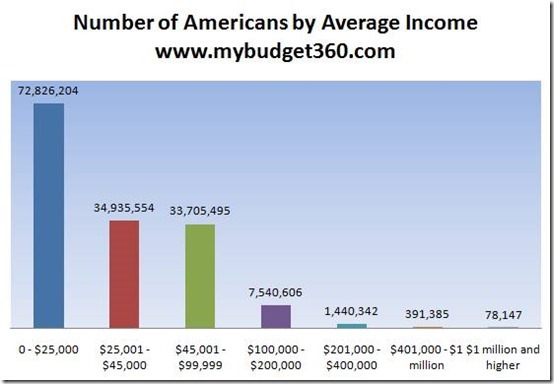 The Federal Reserve is enriching the 1% relative to the overall population. At the same time, the Affordable Healthcare Act will begin extracting more wealth from the middle class in the coming 24 months. How much longer can the illusion continue? The politicians hope to make it through the 2014 election cycle. Japan’s aging population is worse than ours and their politicians have begun printing excessive amounts of fiat currency to offset the lack of overall domestic production. Germany is still waiting for most of its gold the NY Fed is holding. Thailand is trying to oust its current leaders. If you owned gold and/or silver this year, you felt like you were left behind in your return on investment. However, I view these metals as insurance against man’s attempt to create an illusion of well-being. When reality finally sets in, the populace will flee the instruments of mass destruction and head back to sound money. 2014 expects to be an interesting and increasingly volatile year. Hopefully you will not be added to the 47 million Americans now on food stamps to make ends meet. Another cup of coffee, anyone… while it is still affordable? The Love of Our Heavenly Father demands that HE enforce the laws against those who victimize others by withholding the truth of a matter. HIS judgments fit the crime. For instance, on a national scale, those in power who persistently suppress the truth in relation to the citizens of the country and those of other countries, will ultimately place their own country under judgment. The leader always reflects the hearts of the people. In the U.S., it is well known that people vote “their pocketbooks”, not the moral choice. This explains how a leader can be caught lying and still be re-elected. As the unrighteousness mounts up against nations, there comes a day of reckoning and the balancing of the scales will fit the crime. Think not that Our Heavenly Father will simply allow the lawlessness to be smoothed over by some feeble attempt to plead for mercy to HIM. HIS Character demands the victims be recompensed for the injustices. By depreciating the value of money and exploiting the widows, orphans, homeless, and others in need, those in power are insuring their day of judgment is to come with a vengeance. This is true on a corporate level as well as a personal level. When you have wronged somebody, you must go and seek forgiveness from them. If not, you will by necessity suffer the wrath of Our Heavenly Father. HIS wrath is a righteous anger and provides an adequate restitution for the wrong suffered. It may manifest in a sickness or disease, an economic event, a division among family members, or other means. Ultimately, you will get what you deserve. If you dish out unrighteousness, you will receive like payment. To break the cycle, you must endure the restitution or seek and obtain forgiveness from the victim who has the right to remove the imbalance from the scale. Then he knelt down and cried out with a loud voice, "Lord, do not charge them with this sin." And when he had said this, he fell asleep. All of us have been guilty of not being our brother’s keeper. Additionally, we have all been victims of others’ suppression of the Truth. As we each pursue Love, we will have our eyes opened to stop the lawlessness that requires restitution. We can then receive the wisdom, understanding, and knowledge to resolve the issues with others that require restitution. As we restore our relationships through Love and die to “self”, we end the cycle of lawlessness that demanded restitution. As we forgive, we will be forgiven in like manner. We will then truly appreciate the fact that the Truth will set us free. We will have our Sunday afternoon Bible Study at 3PM CST. To participate live or watch this Bible study as a recording afterwards, go to http://www.ustream.tv/channel/the-baptism-of-love The chat room will be open again today for your comments. Duality creates competition and adversity. Unity creates peace. How simple does it get! Genesis 11:5 But the LORD came down to see the city and the tower which the sons of men had built. 6 And the LORD said, “Indeed the people are one and they all have one language, and this is what they begin to do; now nothing that they propose to do will be withheld from them. 7 Come, let Us go down and there confuse their language, that they may not understand one another’s speech.” 8 So the LORD scattered them abroad from there over the face of all the earth, and they ceased building the city. 9 Therefore its name is called Babel, because there the LORD confused the language of all the earth; and from there the LORD scattered them abroad over the face of all the earth. When man is in unity without Our Heavenly Father’s involvement, death and destruction will be the ultimate result. On the other hand, when they are in unity with Our Heavenly Father, life is perpetuated. I have written over 700 blogs on Economics since October of 2007. I have pleaded with the reader to get out of debt, simplify their life, and develop a closer relationship with Our Heavenly Father. Why? The current path of the global economic system is going to inflict notable economic pain on a large portion of the population. Nobody wins in a major event of this nature. The desperate will target the wealthy in their rage. The wealthy will attempt to flee the chaos, hoping they have set aside the right assets to weather any economic storm. When an adverse economic event occurs, division (duality) will increase competition for resources. Emotions will guide many to be even more lawless than they were previously. Governments around the world know this and that is why they are passing laws, executive orders, etc. to prepare for whatever transpires during the Great Reset. If they didn’t think chaos was coming, they would not have taken steps to prepare for such an event. What are you and I to do? Over the last 42 years, I have witnessed Our Heavenly Father in action on multiple fronts. Heaven has the only solution to man’s incompetence and greed. Technology won’t save us. Nobel Prize winners can’t lead us through the unknown. Only our Creator can navigate through the turmoil that lies ahead. This writing is not to scare you but to simply get you to open your eyes to the need to prepare spiritually. You cannot assume that the next decade is going to parallel the last few decades on the economic front. There are many economists that are outside the control of the governments warning us of the dire consequences of the current debt system. Economic historians show us the writing on the wall and it doesn’t look good. The global system is like the prodigal son “coming to the end of himself”. His plan ended up in disaster. Once he came to the end of himself, he turned back (repented) to his Father. I believe in using experts to resolve my problems. I hire a CPA to do complex taxes, an electrician to run a circuit, and a plumber to install a hot water heater. Who is the expert on a global economic meltdown? There is only one- Our Heavenly Father. There is no one else… period. There will be many to get “foxhole religion” when the time comes. They will be looking to those who are at peace and will want to know the key to that peace. Now is the time to move toward unity with Our Heavenly Father. Now is the time to remove any weight that hinders you from focusing on a closer relationship with Our Heavenly Father. Your goal should be to become “one” with Our Heavenly Father just as Jesus was and is. Spending time in your prayer closet will move you in the right direction. Only you can establish your priorities and allocate time and resources to this focus. Are you going to live your life in unity with Our Heavenly Father or in duality and competition among men? It is your choice and you will live with the consequences of that choice, and don’t shoot the messenger. 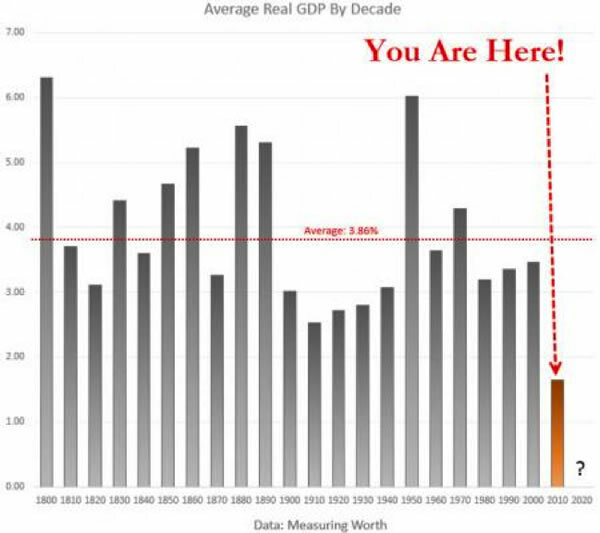 As you can see by this graph, the 100 year history of the Federal Reserve has not proven to be successful. Instead, it has caused more uncertainty especially after the elimination of the gold standard in 1971.
Who is hurt the most by inflation? I guess President Lyndon B. Johnson’s war on poverty was another loss on the list of defeats for America. There is a time to act, and a time to be still. I suggest that action should only come forth after being still. ​​I will be exalted in the earth! Being still implies that you are submitting to Our Heavenly Father’s words during your time of prayer. This is the time of communion. You must quiet your soul and “Be still”. You must remove all the distraction that prevents your focus from being directed to HIM. This is what a prayer closet is all about- removal of distractions. The world has plenty of distractions to keep you focused on about anything else but HIM. Your ego will accommodate any distraction that will empower it to continue its control over you on a daily basis. This Scripture tells us specifically that HE is with us. The time frame is now. It does not use the words “was” or “will be”, but uses the present tense. If you want to hear HIM daily, I suggest spending time with HIM daily. I find the beginning of the day to be ideal, before the world has had an opportunity to obtain my focus. If you ask HIM to wake you up early for this time, be assured… HE WILL. For some, it may be the end of the day. How will HE be exalted among the nations and in the earth? I believe HIS Remnant is being prepared for that task. We are to be HIS expressions on earth just as Jesus was HIS earthly expression 2,000 years ago. We have been prophesying this Scripture by way of the Lord’s Prayer ever since Jesus gave us the directive. Our Heavenly Father has given the inhabitants of the earth ample opportunity to respond. His Righteousness dictated the timing and adequate opportunity to respond. When we are still, we are acknowledging “the fear of THE LORD”. We are giving HIM reverence and exalting HIM above ourselves by submitting to HIS wisdom and counsel. What greater respect than to listen and respond with action accordingly! As we quiet our souls, we set our ears to hear. HE then responds by giving us wisdom, understanding, and knowledge. As we apply ourselves, our skill develops. We become mature sons. Another aspect of this command, is that our own personal challenges and roadblocks are dealt with by HIM. HE provides us the way to resolution of the issues that plague us. HE is the One who opens the doors to the solutions needed to meet our needs. As we honor HIM and reverence HIM, we establish the father/child relationship whereby we give HIM authority in our lives to intervene. Love demands this choice to be available: to do things on our own, or to have Our Heavenly Father intervene. I prefer HIS intervention. The parable of the prodigal son brings this reality into focus. Luke 15:11 Then He said: “A certain man had two sons. 12 And the younger of them said to his father, ‘Father, give me the portion of goods that falls to me.’ So he divided to them his livelihood. 13 And not many days after, the younger son gathered all together, journeyed to a far country, and there wasted his possessions with prodigal living. What is prodigal living? It is: lacking moral restraint; indulging in sensual pleasures or vices, recklessly extravagant or wasteful in the use of resources. 3 “Son of man, these men have set up their idols in their hearts, and put before them that which causes them to stumble into iniquity. Should I let Myself be inquired of at all by them? This is critically important. If you have any idols in your heart, you are subject to this same result. What is an idol? It is anything you desire that moves your focus away from your relationship with Our Heavenly Father. An idol starts with “desire” which quickly moves to “demand”. It then moves to “sacrifice” and finally results in “death and destruction”. An idol will rule our heart if given the opportunity. This is why it is so important to “Be still” and listen to Our Heavenly Father for HE will minister life to you and point out idols that need removal. Notice that in Ezekiel 14:4, we are told that there were a multitude of idols. The prodigal son had to come to the end of himself. When that happened, he turned back toward the Father. When we finally realize what we do on our own isn’t working, we will do the same, hopefully. When it does finally happen, be prepared to have a serious, corrective interview with HIM. It will be house-cleaning time. As these idols are removed, your heart is cleansed and becomes purified. As this occurs, you are able to hear HIS Voice better and respond in a more sensitive fashion thus you become a mature son or daughter. Consider this, it all starts with “Being still”. Jacob had a calling on his life but he had to overcome a notable character flaw, he was a manipulator. Jacob’s name means “supplanter” which is a usurper: one who wrongfully or illegally seizes and holds the place of another. Simply, he was a manipulator. If you stop and think about it, Jacob’s name describes the soul before its redemption. Jacob’s life was one of self-preservation. He had a major calling on his life but believed Our Heavenly Father was not powerful enough to bring it to pass so Jacob needed to manipulate others to achieve his calling… a definite character flaw. Jacob met his match when he sought to marry Rachel (Genesis 29). Laban beat Jacob at his own game of manipulation thus it took 21 years for Jacob to finally be rid of Laban’s manipulation, but not until Laban had substantially gained much from Jacob in terms of labor. Jacob received what he planted- manipulation. It wasn’t until Jacob wrestled with GOD (‘elohiym) that his soul was redeemed from the self-preservation flaw. He had to come face to face with ‘elohiym before he would change. This expression of GOD was the angel Peniel which means Face of GOD. This was just prior to him meeting up with his brother Esau, the recipient of Jacob’s manipulative efforts. Jacob had feared that Esau would kill him because of his deception toward their father when he was pronouncing Esau’s blessing mistakenly on Jacob. In the end, Esau forgave Jacob and spared his life, their relationship was restored. Jacob was redeemed from his character flaw and thus Our Heavenly Father changed his name to Israel- the Prince of GOD. Once we finally come face to face with Our Heavenly Father, our soul has come to the realization of its divine nature. Are we not made in HIS image and likeness? Does not the mature son reflect the attributes of his Father? Isn’t it Our Heavenly Father’s plan for us to be HIS expression on earth? The question each of us must resolve is this: Is the fullness of the power of The Holy Spirit resident within us just as it was in Jesus as He walked the earth for the 3 1/2 years of His ministry (prior to Pentecost)? If we truly believe this to be the case, then the second question that demands an answer is this: What is preventing us from accessing this power and authority? It is clear to me that something must change in me. Matthew 6:15 But if you do not forgive men their trespasses, neither will your Father forgive your trespasses. This is an expression of the “Law of Victim’s rights”. Our Heavenly Father is bound by HIS righteousness to carry out the Law of Victim’s rights. The scales of equal weights and measures demands that there be a restitution for our lawless behavior toward our fellow man. When we pay restitution or are forgiven our debt, we have in essence rebalanced the scales. When we forgive others of their debts to us, we remove a judgment against them. They are no longer required to pay for their misdeed. “Forgive us as we forgive” removes the need for much righteous judgment from the docket. As Love prevails, forgiveness will spread among the people. The result will be peace. As peace breaks out among the people, wars will cease. Instead of seeking how to extract resources of others, mankind will be able to tap into the abundance of Heaven where there is no limit to the resources available to sustain life. A transition is coming! Over the last few years, we have endeavored to bring forth Scriptural Truth in application of our everyday lives. One of those truths is “Greed is the root of all evil”. King James uses the term “love of money”. Our Heavenly Father very specifically directed my to my first professional job: The largest bank in our state. My particular job allowed me to study virtually every department in the bank and fully understand how a bank operated. This was preceded by getting a college degree in Economics. Neither of these paths were part of my plan. I was going to be a Navy pilot for six years, then an airline pilot until retirement. In the fall of 1971 at the Open Door (Christian gathering place aka coffee house), my plan was discarded by HIM and HE the directed my path ever since. Twelve months later, I was working at the bank. Four years later, I was teaching Money & Banking at a local college at night to earn extra money while still working at the bank. This video explains how money & banking work under a central bank scenario. This scenario isn’t exclusive to the Federal Reserve, but provides clarity to how all central banks operate under a fiat currency system. This writing is not focused on any political party or nation. The central banks around the world are all using some form of fractional banking to manage their economies. At some point, there will be a collapse similar to all of the previous historical attempts to use fiat currency. Note: we do not endorse any particular source of precious metals acquisition. You must do your own research if you are led to purchase bullion as a result of this video. The $220 Trillion in U.S. Liabilities I mentioned in a previous writing emphasizes the need to be vigilant in these times. This may be the most important economics blog I have written. This video summarizes how the entire system works for all to understand. The video will surely promote understanding about the intent of bailouts, bail-in’s, and Quantitative Easing. Who are the beneficiaries? The purpose of prayer is to raise our consciousness toward Our Heavenly Father’s ways. HE tells us HIS ways are not our ways and thus when we pray, we seek to raise our understanding and knowledge to HIS ways. Prayer or communion with Our Heavenly Father provides us a path to access a power and authority that supersedes the lower laws we have been subjected to all of our life. Jesus spent much time in prayer. He understood the need to access this higher plane of reality. This decision to pray clearly supports the fact that He had a free will to choose to pray. Otherwise, if everything was predetermined and His actions could not be altered, He would have had no need or desire to pray and commune with Our Heavenly Father. You also have a choice to pray or not. I choose to pray and commune with Our Heavenly Father continually. This raising that occurs could be compared to “leaven”. As our consciousness is raised to a higher level, we are able to access and walk in higher Spiritual laws that were unknown to us prior to our realization that they could possibly exist. Our Heavenly Father has used prophets to make the people aware of the potential for greater processes and events to occur. We must have and exercise faith that a higher law exists in the first place. Faith comes by hearing THE WORD. When Our Heavenly Father speaks, there is sufficient power to cause HIS Words to come to pass. As we hear and believe HIS Words, our faith grows and manifestation occurs. Jesus noted that there were men of no faith, little faith, and great faith. Mark 8:26 And he saith unto them, Why are ye fearful, O ye of little faith? Then he arose, and rebuked the winds and the sea; and there was a great calm. The more you know a person who is reliable, the more faith you have in his word. This is true in our relationship with Our Heavenly Father. As you focus on Love, the primary characteristic of Our Heavenly Father, you begin to know HIM fully and completely. Your faith IN HIM grows. Your trust IN HIM increases to the point that it fully encompasses your heart. We must reaffirm our relationship with Our Heavenly Father continually in our thoughts. The old man would try to convince us otherwise. The more time we spend with someone, the better we know them as life confronts our relationship. We know how they respond to new circumstances. We experience life together. In Psalm 46:1 God is our refuge and strength, a very present help in trouble. Notice the word “is”. HE is with us always. HIS Spirit is with us as well. HE is not on some distant throne dispatching angels in the nick of time. We are in HIS Presence whether we acknowledge it or not. When HE asked Adam “Where are you”, do you think Our Heavenly Father didn’t know the location of Adam? The question was posed for Adam’s sake. Our Heavenly Father is our strength. HIS anointing is available to us. HIS power and authority is reserved for those mature sons who have taken on HIS character of Love. Maturity comes with a consistent focus and desire to be in the Presence of Our Heavenly Father. You want to “hang out” together. HIS strength is sufficient for all of your encounters in life. The Creator is greater than the creation, by design. The mustard seed had all the necessary attributes of the mature tree, it only needed to mature. As it increased in stature, it became a place of refuge. The Pentecostal Age is meant to be used for our development in preparation to occupy the Promised Land. It is a time of preparation, not a time of passive waiting for some cosmic event to occur that would immediately impart some super-human attribute into our bodies in a moment. Yes, there may be a tipping point when a notable event occurs. However, a tree does not spring up overnight from nothing. First, a seed must be planted and it must mature over a period of time. A mature tree will then spring forth with fruit to be fed to the nations. The tree is planted by the living waters and provides healing to the nations but it was not created in an instant. Our Heavenly Father established the law of seedtime and harvest and will surely bring forth the Sons in like manner. You are currently browsing the Servias Ministries Blog blog archives for December, 2013.